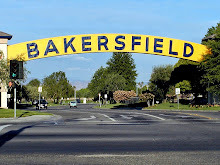 * … ENERGY: Keep an eye on a new organization that is working on behalf of our oil and gas sector here in Kern County. Founded by Tracy Leach, the Kern Citizens for Energy is focused on countering some of the misinformation being put forth by environmental and anti-fossil fuel groups. This is long overdue, primarily because the energy sector has done a lousy job talking about its safety record and the benefits of oil and gas exploration. If you don't think the energy sector is important here, consider this: the sector employs some 12,000 people directly, but indirectly supports some 50,000 jobs throughout Kern County. 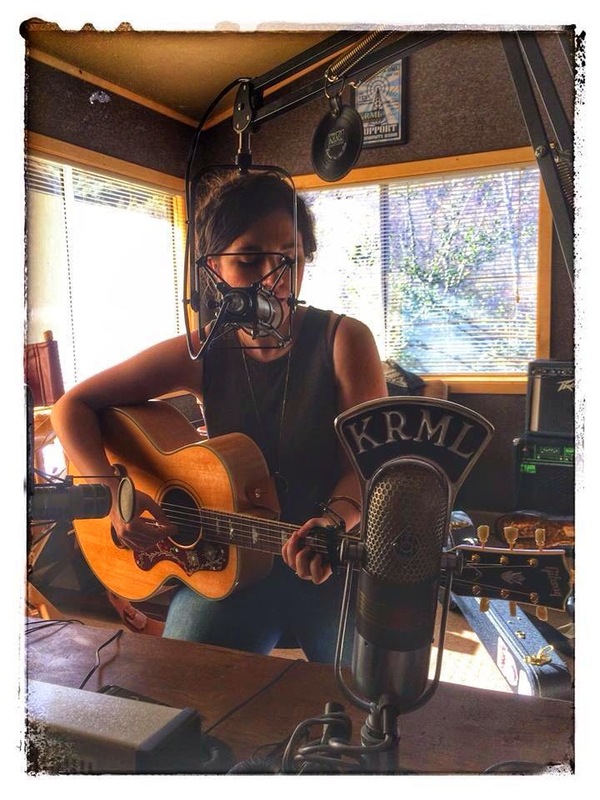 * … MUSIC: In music news about town there is a talented singer and musician coming to town this Sunday over at the Bakersfield Museum of Art. Her name is Lauren Shera, an indie-folk singer who has recorded some terrific melodies. The show is hosted by Passing Through, a local group of businessmen dedicated to bringing good live music to our community. Doors open at 5 p.m. with the show at 6 p.m. It's worth checking out. 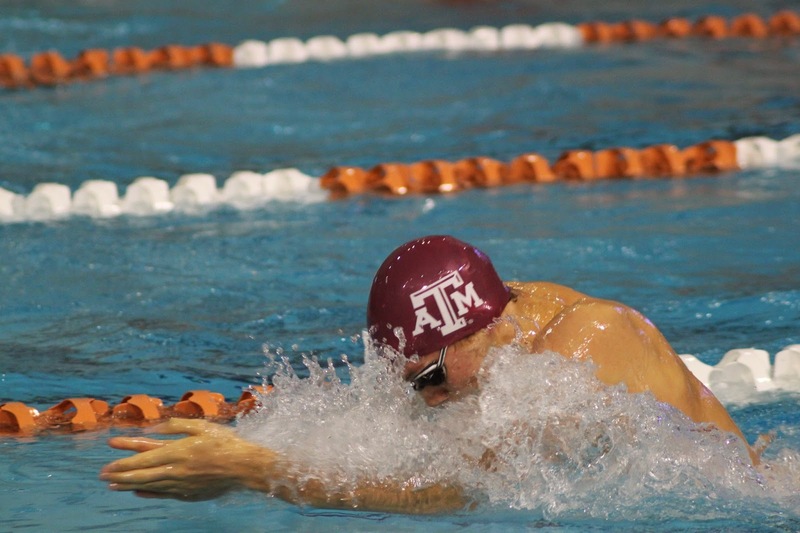 * … BONETTI: Congratulations to former Stockdale High swimmer Brock Bonetti, who has been named the Southeastern Conference Freshman of the Week as a member of the Texas AM swim team. Bonetti led the Aggies to a victory over rival Southern Methodist University with an individual and relay first place finish. He is the son of Brett and Cindy Bonetti. * … CAR DEALERS: More nostalgia about long-gone car dealers, this memory compliments of my friend Rick Kreiser. "An Austrian (I think) cat named Fred Clad had the original Fiat dealership in the spot at the foot of westbound 178 currently occupied by a Hookah lounge (across from – then – Ed Fant Buick). I lusted for months over a bright red 1963 Austin Healy 3000 as the East Bakersfield swim bus braked for the stoplight at the end of the freeway every day back in 1970. Mom thought ‘it was too old’ for Little Richard’s first auto investment, so the co-signer effectively canned that deal in favor of a 1967 Triumph. He did his own PR with the catch line 'Fred Clad Imports…twunty-forz and N'…guess you had to hear the accent to appreciate it. Which, curiously enough, I do fairly often. You see, Fred’s still at it some 55 years later. I rent him a couple of spaces in my building where he details and flips used cars!" * … MORE CARS: And Robert Mergler added this: "Concerning recent comments on auto dealerships of past years, has Van Wyk's VW on 24th Street been overlooked? I bought my first Volkswagen there in 1962. " * … HOUSING: The housing market will soon be entering its critical spring phase, and new home builders are slowly getting back into the action. 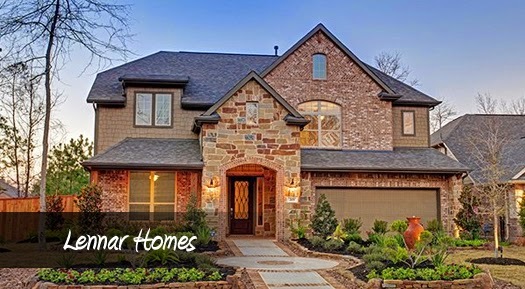 Lennar Homes will hold a grand opening for its Chateau Series model homes at Mountain Gate II this weekend. The tract is located in the southwest just north of Taft Highway and east of Ashe Road. 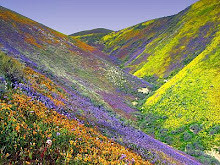 with poppies and yellow daisies you could not see the ground. 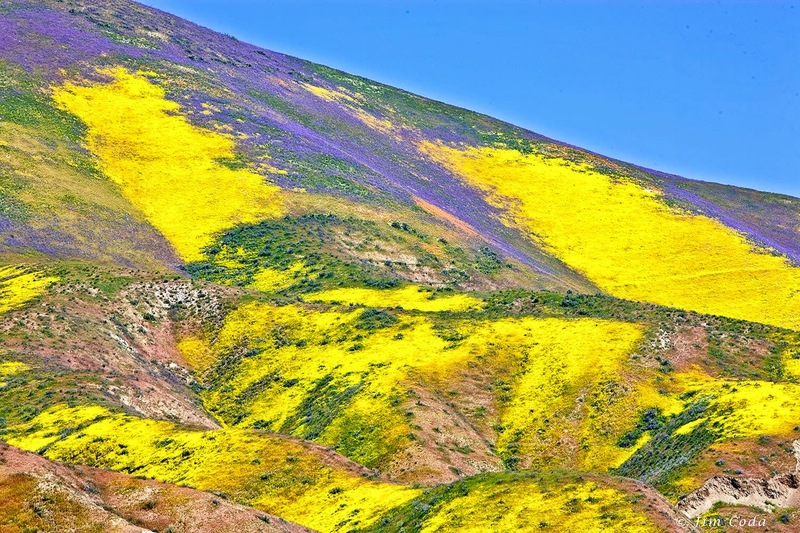 At Carrizo Plain you can still see wild elk and prong-horned antelope on the hills, if you're lucky. "epicenter" of growth in the southwest and could eventually be as large a retail center as the Northwest Promenade. That's according to Vince Roche, a partner in the commercial brokerage firm Cushman and Wakefield, who was my guest on First Look with Scott Cox. Roche said that intersection, which just a few years ago was a sleepy little farming area, will provide the same kind of retail coverage that the Northwest Promenade does off Rosedale Highway. 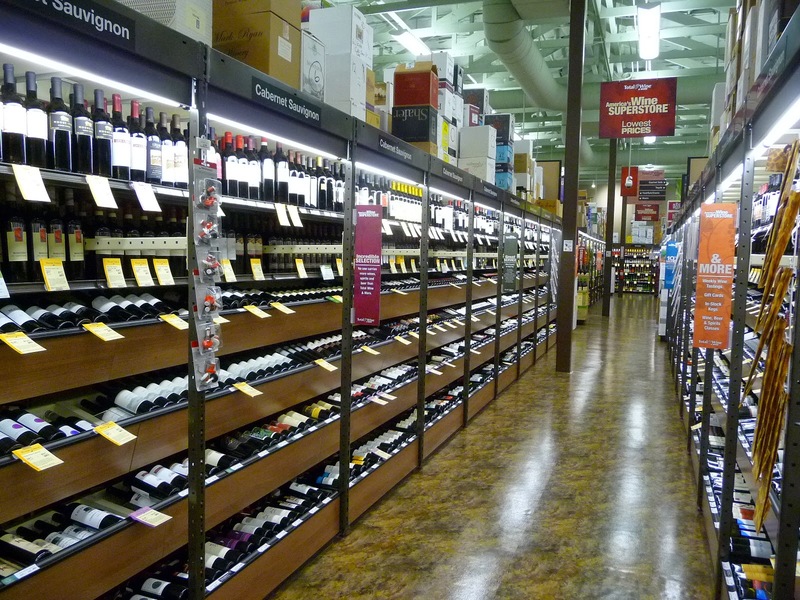 Roche also said that Total Wine, another larger wine retailer, is actively looking for locations in Bakersfield. And finally, Cushman and Wakefield has also branched into agricultural development and has hired Kevin Palla to head that operation. * … FOODIE: If you want an example of the benefits of both customer and employee loyalty, look no further than Rod and Julie Crawford, co-owners of Pyrenees Cafe. 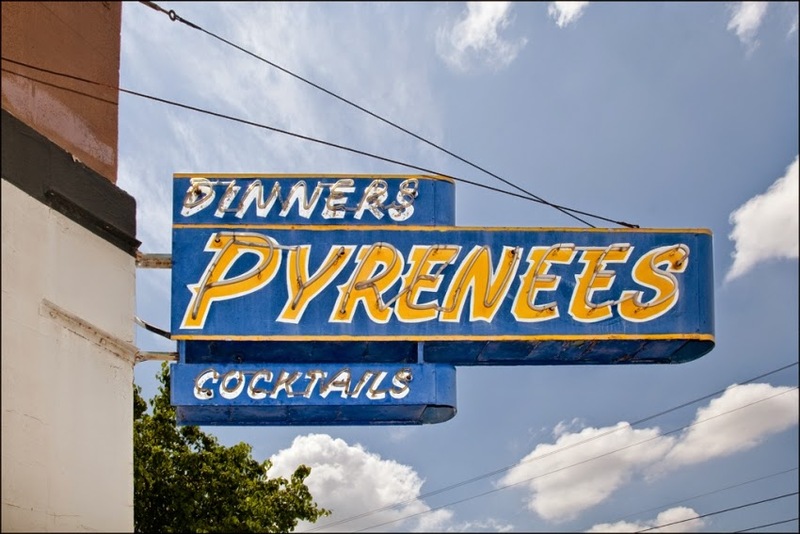 Before buying Pyrenees, Julie was the long-timer manager of the popular Narducci's Cafe (right next door) until she was booted out in a dispute with owner Jimmy Narducci. What happened? More than 20 Narducci's employees (many of them with more than eight years at Narducci's) followed Rod and Julie next door to Pyrenees, where business is popping, and the customers followed. "We could not be happier," Julie told me. "When you treat people right, they are loyal." 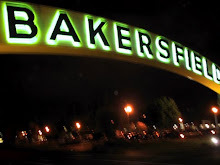 * … SPORTS RADIO: Bakersfield's newest all sports radio station, ESPN 1230 AM, has announced the launch of the Greg Kerr Show, weekdays from noon to 1 p.m.. Kerr is the dean of sports anchors in Bakersfield, having been the senior sports anchor for KBAK Channel 29 for over 20 years. 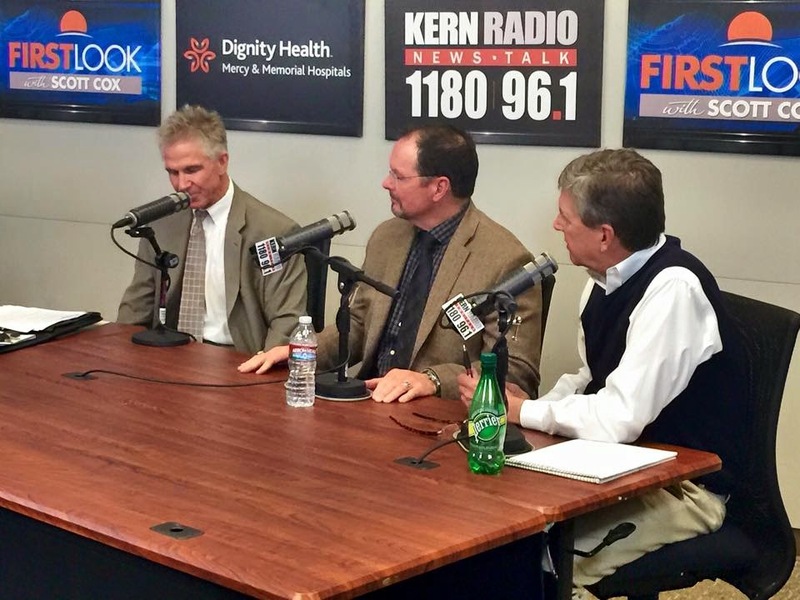 The Greg Kerr Show will discuss local and national sports, feature great sports legends from the community, and engage the audience to call and share their opinions. ESPN Bakersfield 1230 AM is also the new home of The Jim Rome Show, weekdays from 9 a.m. to noon. 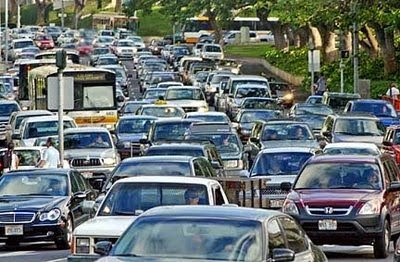 * … CAR DEALERS: Not many of us have a memory like Stan Anderson, particularly when it comes to some of our long-gone car dealers. "Like Marilyn Kendig I can’t forget the Leo Meek Automobile jingle that we all heard so many times with the evening news," he wrote. "Another old time car dealer was Motor Center (not to be confused with Motor City). Motor Center, which was located where the downtown GET terminal is today, sold all GM vehicles under one roof until GM decided to go to separate franchises. When they split Motor Center’s franchise up many of the brands went to managers from Motor Center. Adams took the Pontiac franchise, Gene Winer got Cadillac, and Bill Hawk got the Oldsmobile franchise. I’m not sure if Ed Fant who had the Buick dealership came from the Motor Center breakup. Before Highway 178 joined up with 24th Street, most all these dealers lined 24th Street." * … OVERHEARD: A local man is talking about spending the weekend on the Central Coast. "We were coming back on Highway 46 and I swear, as soon as we hit the Kern County line we hit fog. It was a total buzz kill." * ..,. 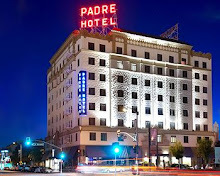 MEMORY: J.J. Gianquinto posed this question for all you history buffs out there: (former sheriff "Charlie Dodge often told the story about a relatively prominent man in Bakersfield, initials GCR, who rode his horse into the lobby, and maybe the bar, of the old El Tejon Hotel. Do you, or does anyone else, know who that person was?" * … SQUATTERS: It looks like squatters are taking over some of the homes on the north side of 24th Street that have been purchased by the city for the eventual widening process. Neighbors said that one house that was recently vacated had been taken over by a homeless couple and their dog but were chased away. As the project drags on, we can likely expect more of this. * … LIBRARY: For all you old timers out there, the Baker Street branch library will celebrate its 100th birthday this May, and the Friends of the Baker Library will be holding an open house. Susan Bennett told me the group is putting together a scrapbook of memories and family pictures of the library. If you want to share, bring your pictures to the library where they will be copied and returned to you. The celebration is set for Saturday, May 9, from noon to 3 p.m. The email for the group is Bakercelebration@gmail.com. 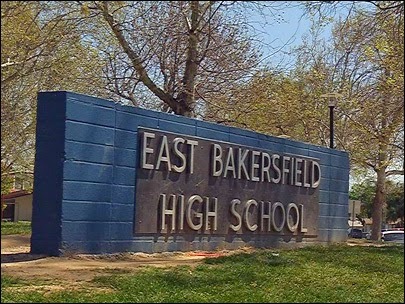 * … EAST HIGH: There is an impressive group of high achievers who will be inducted into the East Bakersfield High School hall of fame next month. Among those to be honored are Superior Court Judge David Lampe, oilman Chad Hathaway, Jack Randolph, Michael Dellostritto, Dr. David Smith, Terry Maddux, Carl Bryan and Steve Gradowitz. The event will be held at the Marriott Hotel on Saturday, Feb. 28. Tickets are available at the EBHS finance office. Haberfelde Ford on Eye Street." * … MEMORIES: This memory from a reader reacting to a recent post on the old Vincent's bicycle shop. "Well my first Schwinn came from Snider's. Wheeling in the backdoor in the alley off Baker for service (early 1960s). Still there, on Union Avenue now, selling bikes and best locksmiths in town."